The rewards of work experience. St Augustine’s Priory is a community not only of pupils, parents and staff, but of past pupils, parents and staff. As the years go by the years the community grows in numbers and strength, sharing knowledge and experience that benefit the current generation of pupils. Over this summer the strength and support of those who are part of the Association was demonstrated when our Careers Coordinator, Mr Ferguson, put together a programme for those girls who were about to enter Priory 6, calling upon members of the St Augustine’s Priory Association to welcome our pupils into their professions and to allow them the opportunity to taste a variety of different environments, to open them up to the career choices available to them. Parents and other members of The Association provided excellent placements in a wide range of organisations including the Houses of Parliament, London Stock Exchange, Windsor Road Dental Surgery, BBC News & Technology, BT Sport, Fox Rodney Search Ltd, Cineworld, The Sun newspaper and with Music Producer Dan Carey. Here, some of our new Lower VI describe their experiences. ‘During the summer I spent two days in the BBC technology department, kindly organised by Mariam Ali as a means of encouraging more young females to consider a career in technology and science. I thoroughly enjoyed the opportunity to explore the BBC and the work they do in terms of evolving their technology to suit the needs of today’s society. Each day I was given the chance to talk to different members of the department about their jobs and ask questions about the role they play in the department. This ranged from people who worked with BBC iPlayer, to those whose jobs involve working with voice technology, such as Alexa, an up and coming technology – so it was interesting to see what was being done with this to suit our technological needs. The challenge with this work placement was forcing myself to have an open mindset about emerging technology, as I discovered that this was the only way to work productively in a technology department – to not close off any possible ideas and prospects as this way it is not achievable for technology to emerge. I would highly recommend this work placement to anyone considering it next year because as well as gaining an insight into the acclaimed organisation that is the BBC, you can further extend your understanding of what is done to expand technology products in the work place. From what I witnessed it also seems as though more women are needed in this field, so any interest shown now by girls considering this career I am sure would be highly beneficial in the future. I would definitely think about considering a career at the BBC as everyone I met there seemed to be extremely passionate about their jobs – they are the type of people and atmosphere I would like to surround myself with when it comes to my career. ‘I really enjoyed my experience at Dan Carey’s Music Production company as I felt that it broadened my perspective on possible future career opportunities and I also learnt a great deal about the music industry. Each day varied enormously. 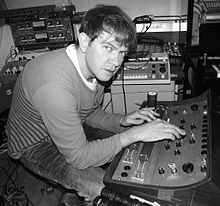 For example, I spent some time observing the recording process – how a song is recorded and put together with the act La Roux and I also spent several hours creating my own mix of one of her new songs as well as playing on a mix and doing some administrative work for the company. Although I was quite nervous before starting the work experience given that this was something unlike anything I had ever done before and I did not know how it was going to play out, it was a really fun experience! ‘Over the course of five days this August I took part in work experience with Yourstage Drama, working primarily in the administrative side of the business. I found my week there to be highly enjoyable and interesting as I worked daily to take registers and welcome students to their classes as well as work to create tickets and help in the logistical side of things for the end of week performance at The Questors Theatre. 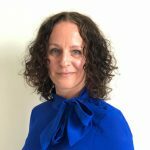 ‘I really enjoyed my time at The Sun Newspaper and took on many tasks such as writing articles, conducting an interview, using their software and attending a photo shoot. Although I had a great time with the company, two of the challenges that I faced were making my writing more colloquial and coming up with funny and attention grabbing headlines – all because of the fast-paced nature of a newspaper. I would recommend a work experience placement both at The Sun, or any other willing company, as it provided me with a great experience and I learnt so much whilst I was there. ‘I did my work experience at Windsor Road Dental Surgery, Ealing, during the summer holidays. I really enjoyed it as I am interested in dentistry and hope to be a dentist in the future. My daily agenda was varied. For example, on some days I would help organise the files at reception and on others I would shadow the dentist. I found this extremely helpful because the dentist would describe what he/she was doing as they were doing it. It was very useful to see how the dentist would approach a situation where the patient could be scared or in pain. 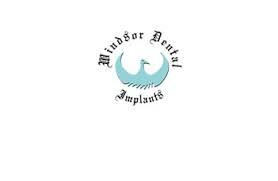 For example, there was a five-year-old patient who was scared of the equipment that the dentist was using so he had to ease the boy into the process and reassure him so that he could do his job. This is an example of how people skills are fundamental in order to become a dentist because you need to know how to communicate with patients who are uneasy or nervous. 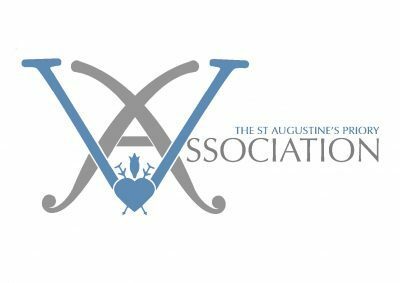 The support and encouragement available to our pupils from the members of the St Augustine’s Priory Association is invaluable and has provided many of our current Lower VI girls with opportunities over the summer they have relished.